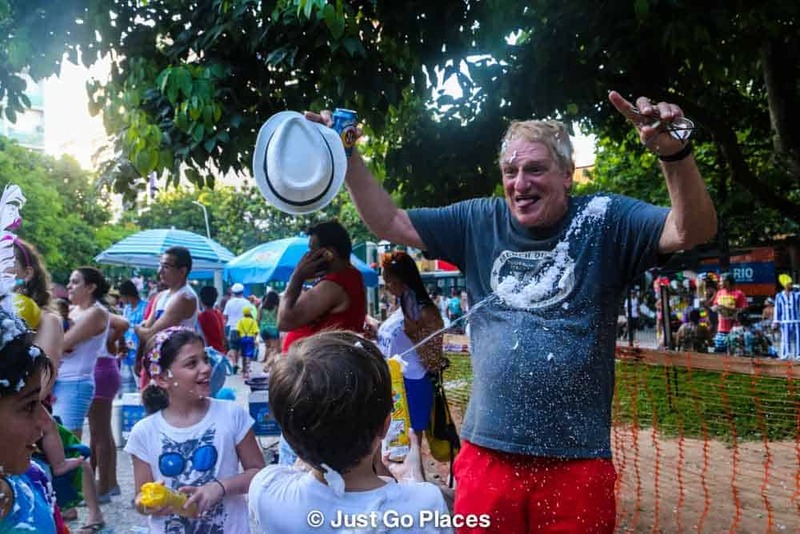 The first thing our children noticed at the Banda de Ipanema Kids Bloco was the shaving cream being squirted by gleefully chuckling Brasilian children. Then, they noticed the confetti being thrown around. 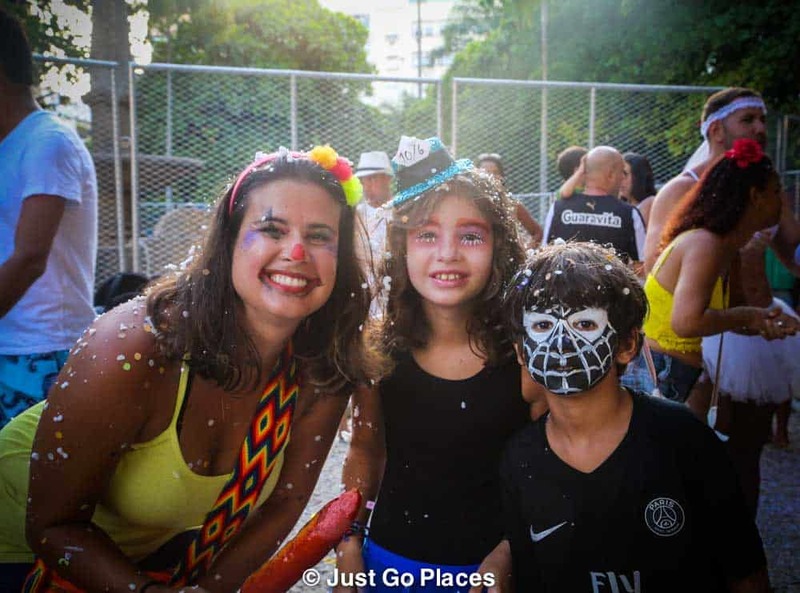 Our children have never thrown confetti (or squirted shaving cream for that matter) so they were really happy to get into the full spirit of Carnival Bloco for Children. And, did they have fun! 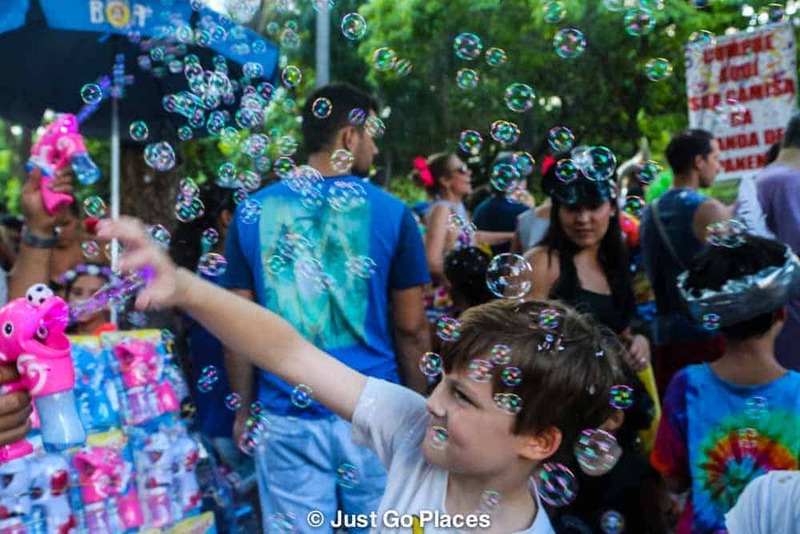 The bloco for children, Banda de Ipanema Kids, takes place in the park around Praca General Osorio in Ipanema. It has been happening since the 1990’s. This year the party was on the Monday afternoon. 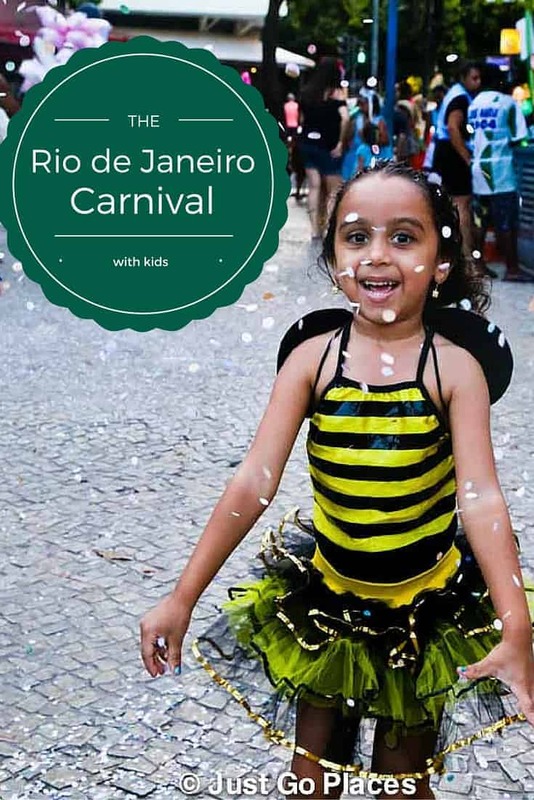 Similar to Children’s Day at the Notting Hill Parade, Rio’s carnival bloco for children is a family-friendly and lower-key event than the main parties. People congregate on the outskirts of the gated park while the main activity happened inside the park. Unlike other blocos, the parading does not leave the park so it is a nice confined area. 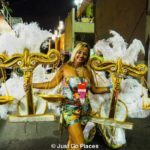 The streets around a bloco become car-free for the safety of the revellers. 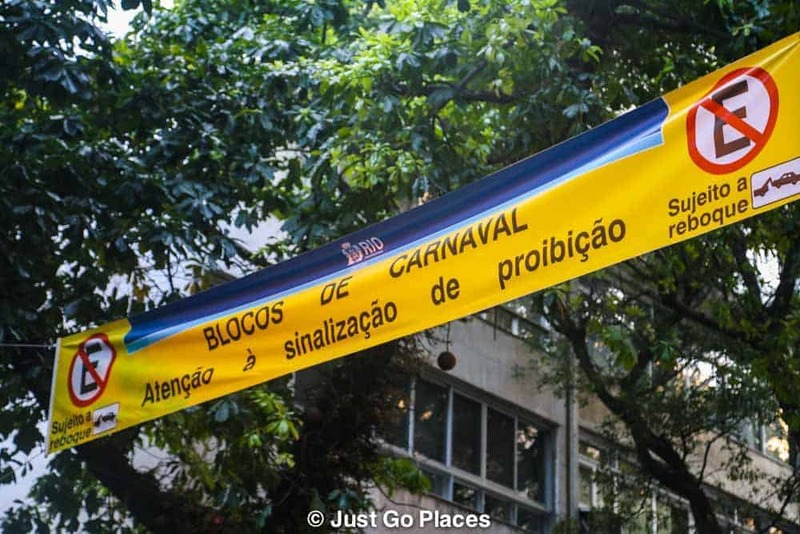 Blocos are street parties that happen during Carnival in Rio. 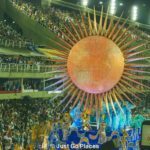 Considering the Sambadrome can only seat 90,000 people but there were an estimated 500,000 visitors as well as the millions of locals, blocos are a way for everyone to enjoy the carnival spirit. 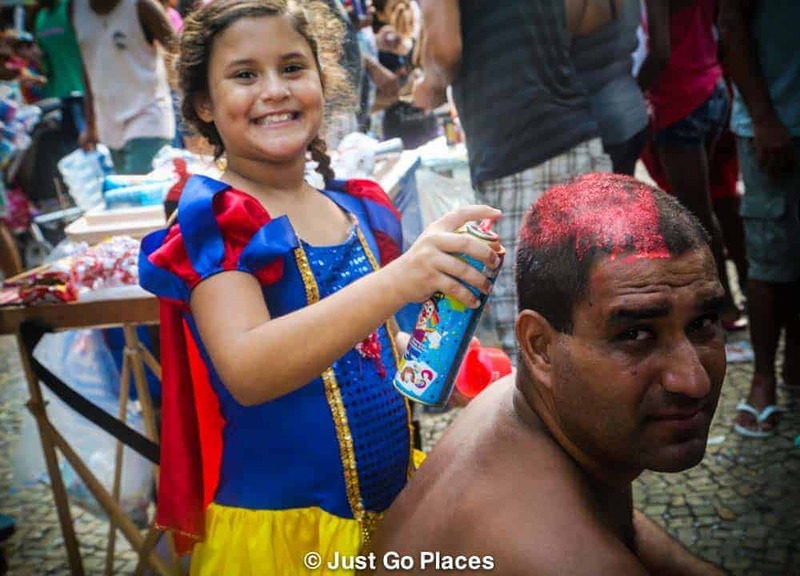 There were 505 official blocos licensed for Carnival 2016. 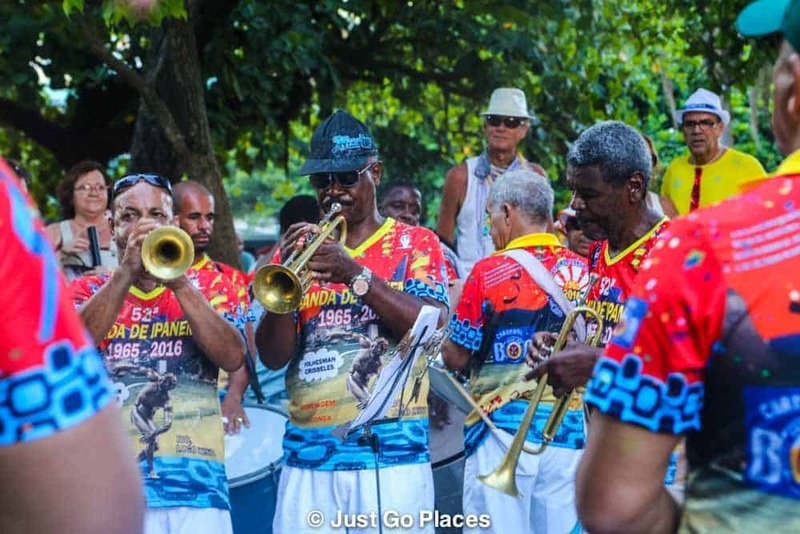 Not all of the blocos are family-friendly but the Banda de Ipanema Kids at General Osorio park definitely was. 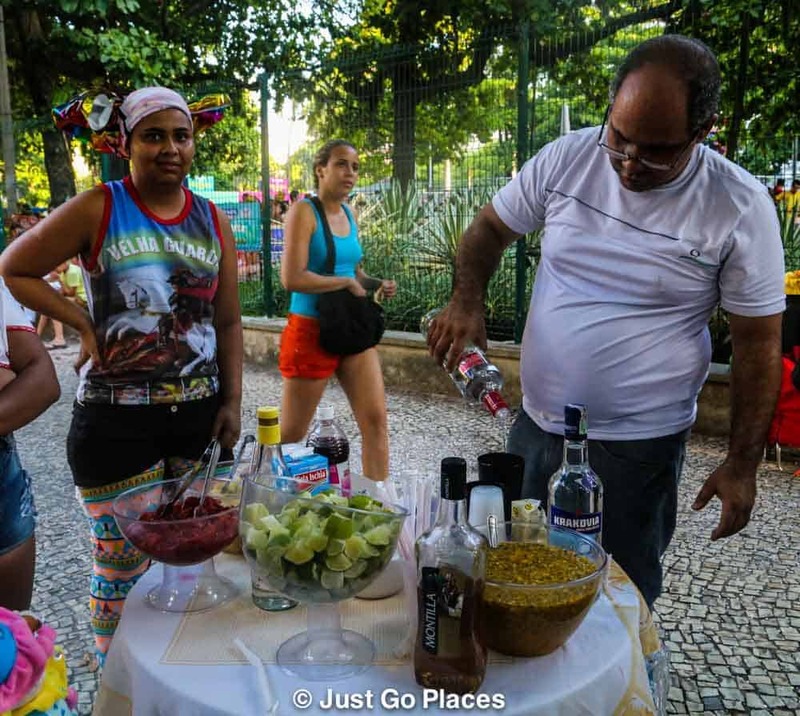 An enterprising vendor brought caiprinhas for the adults so we were able to live and let go in the mayhem. 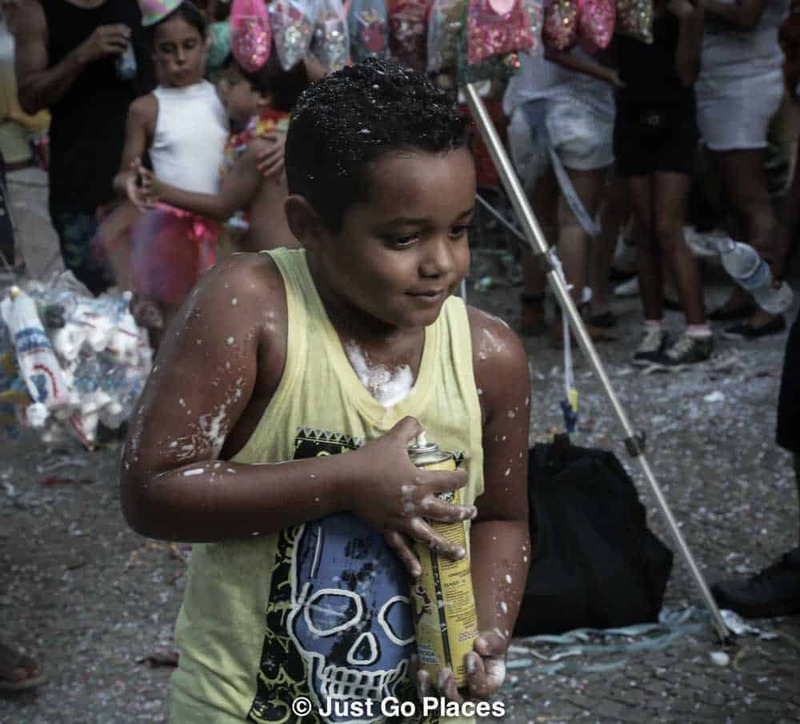 It’s easier not worry about such concerns as environmental damage caused by confetti with a caiprinha in your hand. The whole event was good natured fun. 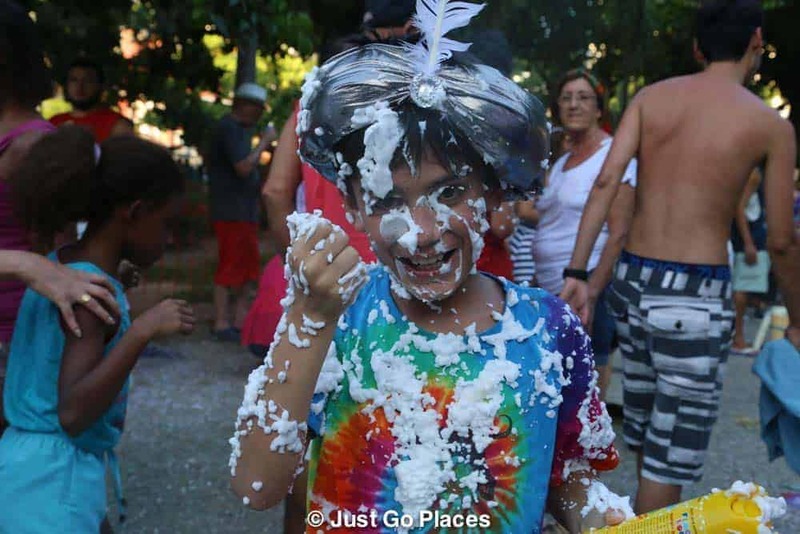 Not only did the children chase each other around to cause maximum shaving foam damage, the party atmosphere extended to cotton candy and caramel popcorn. Because, of course, sugar is exactly what over-excited children needed. I really also enjoyed people-watching. 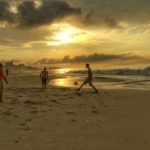 Brasilians are friendly anyway and they LOVE their children. The interaction between families was really sweet. Our kids were the right age and blended right into the event. The only teens we saw were there with younger relatives. I love this little girl’s gleeful smile and her father’s long-suffering look. Do what you must, that look says. 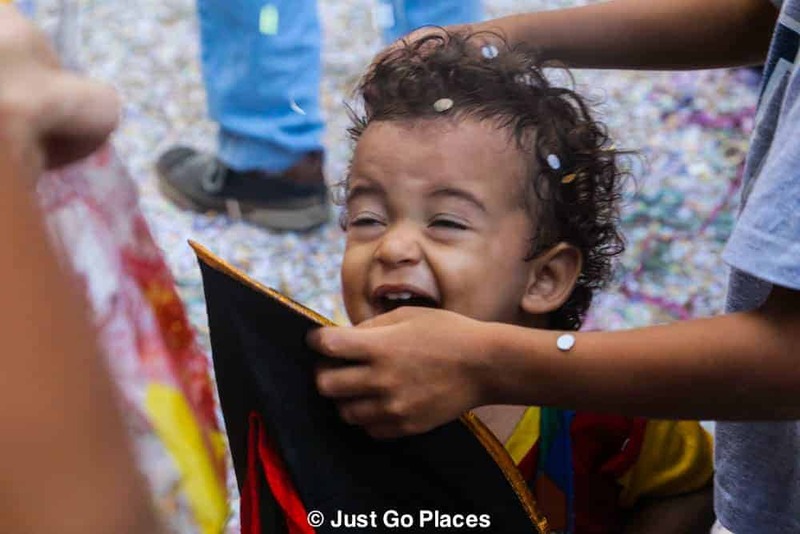 This little one was cackling in glee at having confetti sprinkled at him. 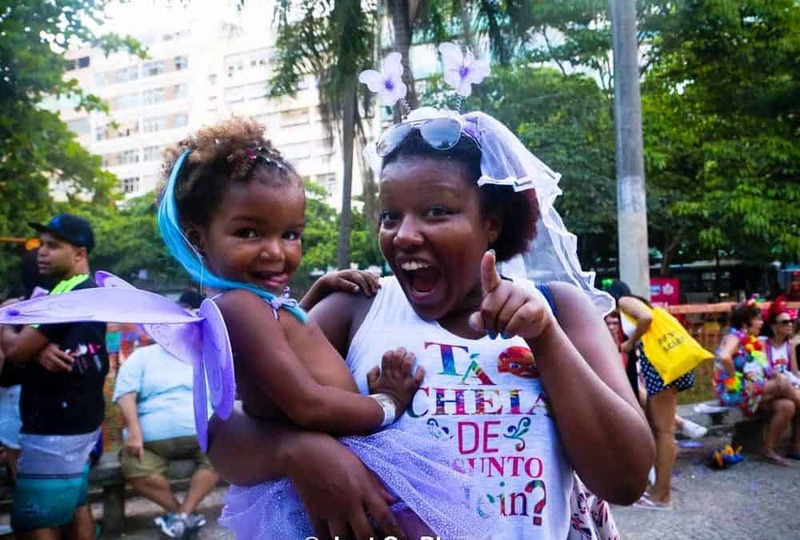 A little girl and her mother having fun. My son, the victim of a sneak foam attack, by his sister. Thanks to the Caiprinha I couldn’t even get mad about the fact that we told them NOT to spray in each other’s faces. Breathe. This kid’s smirk clearly means he is up to no good with a spray can! Of course, there was a band playing music. No kid ever got tired of popping bubbles. This guy good-naturedly let himself be a target for our kids. We simply had not drunk enough to volunteer for such an act of valour. 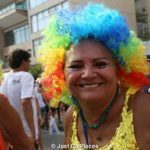 The thing about Carnival? Everyone likes to have their photo taken. 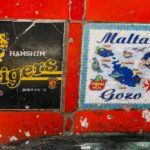 This post is linked to Travel Photo Thursday. This is so cute. The kids look very happy. Were you really expecting your kids to follow the rules? Hope they didn’t spray you (or sprayed the caipirinha). Gorgeous photos. Children’s carnivals are so playful. I love the idea that it’s in an enclosed area. Hope you made it to the adult carnival. 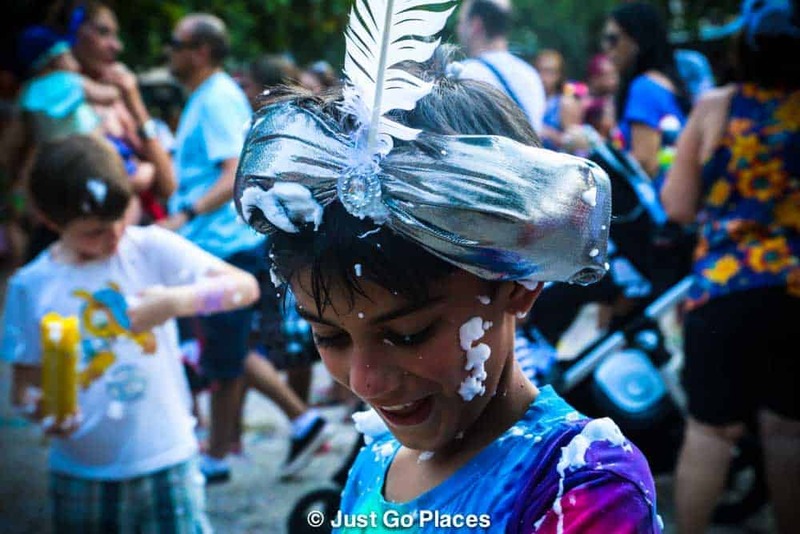 Bloco’s are a great idea so that everyone get’s a chance at a piece of the action, and such fun for the kids too. Yes the Sambodrome tickets were expensive but amazing floats and costumes. The blocos were just pure fun.